Last year, the world's largest retailer pulled up the "Cyber Monday" deals to the Sunday evening after Thanksgiving for the first time. Cyber Monday, which falls on the Monday after Thanksgiving, is typically the busiest day of the year for online shopping. The phrase was coined in 2005 by the National Retail Federation's online arm, Shop.org, to encourage online buying when people returned to offices where they had high-speed Internet connections. Since then, the proliferation of smart phones has given shoppers constant Web access and now Cyber Monday is being used by retailers to pull in shoppers hungry for deals continually. The push to start Cyber Monday deals earlier follows what's been happening with Black Friday, the day after Thanksgiving, which used to officially kick off the holiday shopping season in stores. Over the past few years, retailers such as Wal-Mart, Macy's and Target have started the deals earlier into Thanksgiving. And they're now offering many of the same deals online as they do in stores on Thanksgiving. Ravi Jariwala, a Wal-Mart spokesman, told The Associated Press that three out of the four customers it polled said that they wanted to shop Cyber Monday deals earlier—after the kickoff in stores. 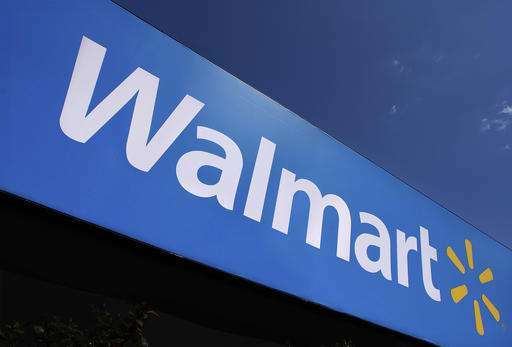 The move comes as Wal-Mart aims to compete more aggressively with online leader Amazon.com. Wal-Mart reported last week that its online sales growth accelerated to 20.6 percent in the third quarter from its 11.8 percent pace in the prior quarter. Wal-Mart's online business has been helped in part by its growth in product assortment. It now offers 23 million products online, nearly triple from last year's holiday shopping season. The firm's preliminary holiday shopping forecast is for online sales to rise as much as 19 percent to $81 billion. Aside from a dip the day after the contentious presidential election, there are no signs that shoppers' appetite for spending has been seriously weakened, said comScore analyst Andrew Lipsman. Another firm, Adobe Digital Insights, forecasts online sales will be up 11 percent to $91.6 billion this holiday season.